The Minto-Mapleton Family Health Team (FHT) partners with the Seniors' Centre for Excellence to provide indoor walking groups in Harriston, Palmerston, Clifford and Drayton. The Township of Mapleton and the Town of Minto have graciously offered the Community Centres in each of these towns to accommodate our morning walking clubs for FREE! We have identified a walking champion in each community. The role of the champion is to help maintain the group, get new people started and act as a liaison between the participants and the Minto-Mapleton FHT's exercise specialist. Each walking club offers walking from October through April, and the Drayton and Palmerston clubs continue throughout the summer months as well, walking on the ice surface at the arena. If you are an active walker during the summer months but find it difficult to maintain this throughout the year, then our walking groups may be just the answer. It's a great place to meet new people, and keep active at the same time! If you are just starting a walking program, the champions are able to help you get started. 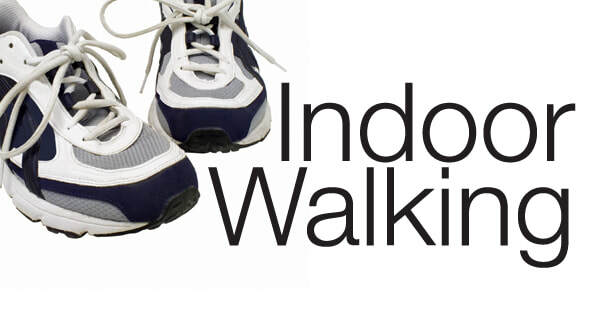 Just give us a call and we will set up a start date for you to get on your way to walking to better health! Clifford Community Centre: There has not been enough interest to sustain a walking group in this community. We are hopeful that this will change in the future if we are able to generate more interest. If you are interested in joining this group please contact us at either number listed below. Once a minimum number of participants have been identified we will commence the walking group. For more information contact Sandy at the Minto-Mapleton FHT at 519-638-2110 ext. 224, or Helen Edwards at the Seniors' Centre for Excellence at 519-638-1000. For more information on the Seniors' Centre for Excellence programs, click the walking picture on the left.